Bordered by antique shops and steeped in history and culture in the town of Nishitenma, lies a Kyo-kaiseki restaurant with a white noren hanging quietly on a plain-colored earthen door. Walk inside and down the stone-paved corridor and you’ll find the entrance to Oimatsu Kitagawa. 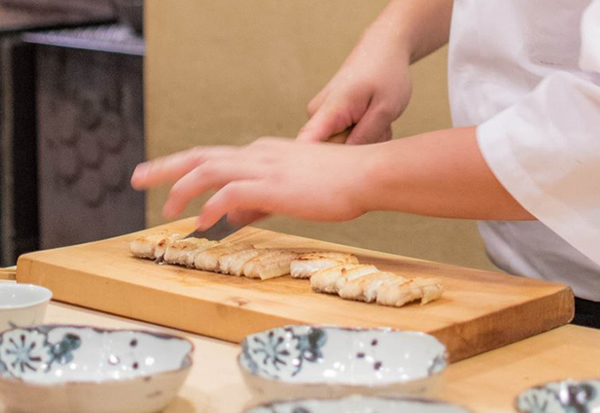 Receiving the prestigious Michelin award every year since its opening, Oimatsu Kitagawa prepares seasonal kappo-style omakase kaiseki courses that are available for reservation for lunch and dinner. 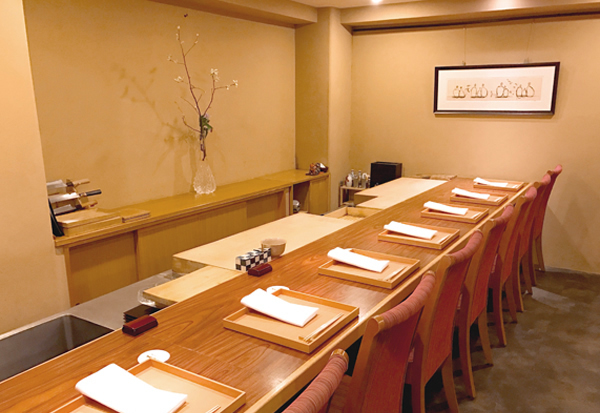 Receiving the prestigious Michelin award every year since its opening, Oimatsu Kitagawa prepares Omakase courses for lunch and dinner where customers sitting at the counter can enjoy watching their food being prepared in front of their eyes before actually tasting it. We have a full array of alcoholic beverages available as well and it would be our pleasure to suggest drinks that complement your meal from our extensive stock of 20 locally brewed fine sakes. 【Dress Code】No beach sandals or slippers please. Please remove hat.